ENDERS - VR Killer is out now worldwide. 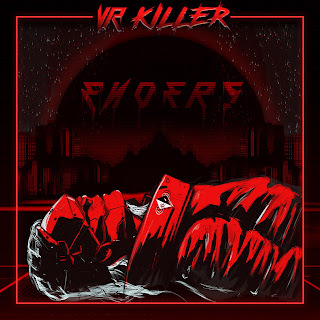 ENDERS album 'VR KILLER' highlights and brings awareness to the dangers of the virtual world, virtual reality, and self-indulgent immersive technology. VR KILLER explores theses themes and more specifically; addiction, human killing software virus, deadly piracy and people murdering others in virtual reality. That's when you hear about it. How it happened... how he went... headset on, plugged in, wired directly into a ultra immersive virtual reality world too intoxicating to pull out of. Phone calls were rejected and the battery was left to die... Emails went unanswered. The needs and demands of his own body were ignored. His bank account, slowly drained as he purchased digital goods in a digital world more welcoming and fulfilling than his own. And finally he just shut himself down... or did someone else? A life put on pause, for an escape into the virtual world. Death by virtually induced heart attack... or was it? ...and who is really to blame? Songs released as promotional demos in August 2016.